The US Drug Enforcement Administration (DEA) is the leading law enforcement operation in the country for combating the sale and distribution of narcotics and other illegal drugs. Operating under the Department of Justice, DEA enforces federal anti-drug laws and investigates major drug criminals and gangs operating at interstate and international levels. DEA also has been in the thick of the national controversy over medical marijuana, serving as the federal government’s enforcer in going after local cannabis clubs that distribute marijuana to individuals suffering from serious illnesses. In addition, its effectiveness in curtailing the use of illegal drugs has been questioned. Prior to the creation of the DEA, drug enforcement rested in the hands of two federal offices. The Bureau of Narcotics in the Treasury Department was responsible for the control of marijuana and narcotics, such as heroin. The Bureau of Drug Abuse Control (BDAC) in the Department of Health, Education, and Welfare was responsible for the control of “dangerous” drugs, including depressants, stimulants and hallucinogens, such as LSD. By 1968, America’s counterculture movement was in full swing and the use of illegal drugs for recreational purposes was steadily rising. Alarmed by the increasing acceptance of drug use, President Lyndon Johnson introduced legislation that combined the Bureau of Narcotics and the BDAC into one new agency: the Bureau of Narcotics and Dangerous Drugs (BNDD), located in the Department of Justice. In 1970, Congress passed the Controlled Substances Act (CSA), Title II of the Comprehensive Drug Abuse Prevention and Control Act of 1970. BNDD was charged with enforcing this new law, which established a single system of control for both narcotic and psychotropic drugs for the first time in US history. It also established five schedules that classified controlled substances according to how dangerous they were, their potential for abuse and addiction and whether they possessed legitimate medical value. Two years after its creation, BNDD had nine foreign offices—in Italy, Turkey, Panama, Hong Kong, Vietnam, Thailand, Mexico, France and Colombia—to combat international drug trade. In New York, the agency initiated the country’s first anti-drug task force involving federal, state and local officers. In addition, BNDD established Metropolitan Enforcement Groups to encourage sharing undercover personnel, equipment and other resources from different jurisdictions while BNDD provided training and operational support for these units. In spite of this work by BNDD, President Nixon still was not satisfied with the federal effort to stop the illicit drug trade. While BNDD was the primary enforcer of drug laws, other federal agencies, such as the Customs Service, still had a hand in stopping the flow of drugs. So the President declared “an all-out global war on the drug menace” and offered another legislative solution to Congress. After months of testimony and hearings in both the House and Senate, Congress adopted President Nixon’s plan to create a single federal agency to consolidate and coordinate the government’s drug control activities. In 1973, the Drug Enforcement Administration (DEA) was born. DEA’s creation was expected to end interagency rivalries, especially between BNDD and Customs, and better focus federal law enforcement operations to crack down on the sale and distribution of narcotics in the US. One of DEA’s first big steps was the establishment of an intelligence division to improve federal agents’ ability to key in on critical suppliers and distributors of drugs. DEA leaders also lobbied for the creation of the El Paso Intelligence Center (EPIC) in 1974. Established to provide tactical intelligence to federal, state and local law enforcement agencies on drug activities along the US-Mexico border, EPIC was run by DEA and the Immigration and Naturalization Service (INS). Other earlier developments by DEA were the creation of the Drug Abuse Warning Network to help DEA determine the scope of drug abuse in the US, the establishment of the National Training Institute to train DEA agents and the Federal Drug Laboratory System to test street narcotics. By the mid 1970s, DEA began to focus more on the heroin trade and less on marijuana distribution, following the 1975 release of a report by President Gerald Ford’s Domestic Council Drug Abuse Task Force that declared “all drugs are not equally dangerous.” The same report declared that drug abuse was still on the rise in spite of federal law enforcement efforts. Anti-heroin campaigns of this time period included Operation Trizo in coordination with the Mexican government. Mexican nationals flew helicopters donated by the US State Department to spray herbicides onto poppy fields in the states of Durango, Sinaloa and Chihuahua. The campaign lasted two years before Mexican officials called it off because so many people were arrested in the region that it caused an economic crisis for Mexico. Operation Trizo did little to stem the overall rise of drug lords in Mexico, which increasingly became a key trafficker in heroin and amphetamines. In April 1975, the DEA created the first of its central tactical units (CENTAC) to concentrate enforcement efforts against major drug trafficking organizations. This represented a shift in anti-drug operations, which in the past had focused more on low-level dealers or an occasional top figure. CENTAC targeted major worldwide drug trafficking syndicates from a central command in Washington, DC. CENTACs investigated heroin manufacturing organizations in Lebanon, Asia and Mexico, targeted large cocaine organizations from Latin America that operated in the United States and went after domestic criminal groups that manufactured and distributed LSD, PCP and amphetamines. During the late 1970s and early 1980s, drug operations in Colombia grew significantly as a result of US demand for that country’s cocaine and marijuana. Also, Miami had become the drug capital of the Western Hemisphere, according to the DEA, because of its geography and cooperative international banks. Within a short time, South Florida was overwhelmed by violent cocaine and marijuana traffickers from Latin America, including those associated with Colombia’s Medellin Cartel. Meanwhile, Americans were increasingly trying cocaine. By 1979, a survey showed that almost 20% of Americans had used cocaine during the previous year, and by the early 1980s, approximately 22 million Americans admitted to having tried cocaine. With the election of President Ronald Reagan in 1980, DEA agents received a boost in political support for anti-drug operations. The First Lady, Nancy Reagan, became a vocal advocate for ending drug abuse in America through the “Just Say No” campaign. Emboldened by this national effort, DEA launched drug task forces in South Florida and national drug task forces aimed at organized crime syndicates involved in illicit drug operations. Operation Pipeline was also launched to try to intercept drugs flowing into the US from Mexico, and through Florida and New Jersey. Federal drug agents received greater authority to seize property of suspected drug dealers when Congress adopted the Crime Control Act of 1984. And in 1986, President Reagan signed National Security Decision Directive 221, which made the “war on drugs” a matter a national security and led to the dispatch of American military advisors to Latin America to help local law enforcement take on drug cartels. The early 1980s saw the introduction of crack cocaine in the US. In no time, the cheap, yet highly addictive narcotic spread across key American urban centers like New York, Baltimore, Detroit and Los Angeles. By 1989, the crack epidemic was so severe that it helped propel drug abuse into becoming one of the most important pressing social issues the nation. At the same time, DEA operations had done little to stem the growth of international drug trafficking organizations operating in the US, including the Medellin and Cali cartels. The invasion of Panama in 1989 by the US military resulted in the arrest of Panamanian strongman Manuel Noriega, who was accused by US officials of helping Colombian drug lords move drugs into the US through Panama. Noriega’s 1991 trial was dubbed the drug trial of the century by some and resulted in his conviction and sentencing to 40 years in prison. DEA continued to grow during the 1990s, thanks to support from the administrations of President George H. W. Bush and President Bill Clinton. For Bush, it was about continuing the Reagans’ war on drugs. For Clinton, it was about proving to Americans that he did not take drug abuse lightly following a controversy that erupted during the 1992 presidential campaign over Clinton’s admitted use of marijuana when he was younger. By Clinton’s second year in office, DEA’s budget broke the billion-dollar mark, which helped put more drug enforcement agents on the street. Ongoing DEA operations in Latin America were credited with helping bring down the Medellin and Cali cartels during the decade. While DEA agents continued to pursue traffickers of cocaine, heroin and methamphetamine, new anti-drug targets began cropping up in the late 1990s. The most significant development was the array of synthetic drugs that became popular, particularly among young people. Foremost among these laboratory-produced drugs was Ecstasy, a combination stimulant and hallucinogen sold in tablet form. In 2000, it was estimated that about two million tablets of the “feel good drug” were smuggled into the US every week. DEA also began focusing on the growing diversion of legal prescription drugs into the black market. OxyContin, a powerful prescription analgesic, became heavily abused, prompting DEA to implement a National Action Plan to combat diversion and abuse of the drug. The use of steroids by professional athletes launched the problem of performance-enhancing drugs into the national consciousness, culminating in the raid by DEA and other federal officials of the Bay Area Laboratory Cooperative (BALCO) near San Francisco—a scandal that would implicate such famous baseball players as Barry Bonds. Following the 9/11 terrorist attacks, DEA found itself involved in the Global War on Terrorism launched by President George W. Bush. In Afghanistan, the former base of al Qaeda and its Taliban supporters, DEA has conducted ongoing missions with the US military to help local law enforcement combat poppy production, the source of opium and heroin. Part of the Justice Department, the US Drug Enforcement Administration (DEA) is the leading law enforcement operation in the country for combating the sale and distribution of narcotics and other illegal drugs. 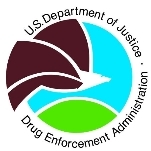 DEA enforces federal anti-drug laws, such as the Controlled Substances Act, which pertain to the manufacture, distribution and dispensing of legally produced controlled substances. DEA investigates major violators of controlled substance laws operating at interstate and international levels. Major violators include criminals and drug gangs, both in the US and in foreign countries. As part of its national drug intelligence program, DEA works with other federal, state, local and foreign law enforcement officials to collect, analyze and disseminate strategic and operational drug intelligence information. DEA also works with other law enforcement operations through non-enforcement methods such as crop eradication, crop substitution and training of foreign officials. Drug enforcement agents seize assets and property of alleged drug traffickers, and they compile a large volume of statistics and facts related to enforcement activities and the drug trade. DEA’s Intelligence Program has grown significantly since its inception in 1973, from only a handful of intelligence analysts to more than 680 today. The intelligence program consists of intelligence groups/functions in field divisions, district, resident and foreign offices, the El Paso Intelligence Center and the Intelligence Division at DEA Headquarters. Within the HQ Intelligence Division there are the offices of strategic intelligence, investigative intelligence, special intelligence and intelligence policy and management. The DEA Intelligence Program helps initiate new investigations of major drug organizations and develops information that leads to seizures and arrests and provides policy makers with drug trend information. DEA’s aviation program has expanded from 24 aircraft and 41 special agents/pilots in 1973 to 106 aircraft and 124 special agent pilots today. Now known as the Office of Aviation Operations (OA), the office provides aviation support to domestic DEA offices, High Intensity Drug Trafficking Areas, Special Enforcement Operations, Mobile Enforcement Teams, the Southwest Border Initiative and the National Marijuana Eradication Strategy. These operations consist of air-to-ground, air-to-water, air-to-air, electronic surveillance and photographic reconnaissance. The Domestic Cannabis Eradication/Suppression Program (DCE/SP) is the only nationwide law enforcement program that exclusively targets marijuana cultivation. The DCE/SP began funding eradication programs in Hawaii and California in 1979. The program rapidly expanded to include programs in 25 states by 1982. By 1985, all 50 states were participating in the DCE/SP. In 2007, the DEA provided resources to 114 state and local law enforcement agencies that actively participate in the program. DEA’s commitment to drug prevention began in 1985 when the Demand Reduction program was formally created. The program works with local government officials, schools and drug prevention and treatment programs to help provide information to the public about the dangers of drug use. DEA designates certain DEA special agents as Demand Reduction Coordinators stationed throughout the country. The Office of Diversion Control is responsible for stopping the diversion of controlled pharmaceuticals and controlled chemicals. The former deals with prescription drugs pedaled on the black market, while the latter tackles the use of chemicals to help produce illicit drugs, such as methamphetamines, cocaine and heroin. The office consists of diversion investigators, chemists, pharmacologists, program analysts and others. Cooperation with foreign law enforcement agencies is essential to the DEA mission because the trafficking syndicates responsible for the drug trade inside the United States do not operate solely within its borders. DEA special agents assist their foreign counterparts by developing sources of information and interviewing witnesses. Also, DEA actively participates in several international forums to promote international law enforcement cooperation. One forum is the annual International Drug Enforcement Conference (IDEC) that brings together upper-level drug law enforcement officials from South, Central, and North America, the Caribbean, Europe and the Far East to share drug-related intelligence and develop operational strategies that can be used against international drug traffickers. Scientific support to DEA Special Agents and other law enforcement personnel is one of the critical functions provided by DEA forensic chemists. This encompasses a wide variety of duties and forensic disciplines, including: Analyses of controlled substances and related substances and processing chemicals; crime scene investigation; latent fingerprint identification and photographic development; analysis and evaluation of digital (computer) evidence; development, monitoring and processing of hazardous waste cleanups and disposals; and expert witness testimony. Established in 1994, the Computer Forensics Program (CFP) applies advanced computer technology and specialized seizure and evidence handling techniques to retrieve information from computers and other technological devices seized from suspected drug offenders. CFP retrieves bank account numbers, names and addresses of associates, databases of assets and financial activity, sales and other business records, grid coordinates of clandestine landing strips, recipes for methamphetamine manufacture, e-mail and other incriminating correspondence. Established in 1982 by the Department of Justice, these task forces conduct comprehensive, multi-level attacks on major drug trafficking and money laundering organizations. OCDETF combines the resources and expertise of DEA, FBI, Bureau of Immigration and Customs Enforcement, Bureau of Alcohol, Tobacco, Firearms and Explosives, the US Marshals Service, the Internal Revenue Service, the US Coast Guard, the Department of Justice’s Criminal Division, Tax Division and US Attorney’s Offices plus state and local law enforcement. In operation since 1994, the Southwest Border Initiative is a cooperative effort by federal law enforcement agencies to combat Mexico-based trafficking groups operating along the Southwest Border. These groups transport heroin, methamphetamine and marijuana, along with cocaine on behalf of Colombian drug organizations. The Office of Training develops training programs for DEA law enforcement and non-law enforcement personnel plus other employees from federal, state, local and foreign law enforcement counterparts. This training is provided at the DEA Training Academy in Quantico, Virginia. DEA also participates in international counter-narcotics training for law enforcement officers from other countries. This includes instruction to establish Sensitive Investigative Units within foreign police forces to carry out high-security intelligence and investigative work. SUI’s often report to US officials based in foreign countries rather than domestic police authorities—a procedure that has threatened to weaken chain-of-command in foreign governments. The DEA’s largest contactor specializes in consulting, systems integration, and outsourcing information. For the DEA, the company provides data processing and telecom services and maintenance, repair of equipment. The DEA’s second largest contractor is a defense company that provides Intelligence, Surveillance and Reconnaissance (ISR), secure communications, government services, training and simulation and aircraft modernization and maintenance. For the DEA, the company provides technical services and repairs damaged equipment. The DEA’s fourth largest contractor specializes in telecommunication. For the DEA, the company provides data processing and telecom services, equipment installation, maintenance and repair and training. The DEA’s fifth largest contractor provides telecommunication hardware and services. For the DEA, the company supplies cellular phones and their calling plans. The DEA’s sixth largest contractor is an Alaska Native owned corporation that represents the business interests of the Arctic Slope Inupiat. The family of companies of ASRC extends into the professional fields of engineering, financial management, oil and gas support services, petroleum refining and distribution, civil construction and communications. For the DEA, the company provides fuel, engineering and technical services and program management. The DEA’s seventh largest contractor designs, develops, integrates and implements large and complex systems for defense and military service organizations. They provide strategic and tactical command, control and communications systems and analytical support. It also supports federal civil agencies with comprehensive professional and IT consulting services and enterprise-wide infrastructure support. For the DEA, they provide IT services and aid in communication systems support. The DEA’s eight largest contractor provides staffing and logistics to the federal government in administrative support services, financial management, revenue and banking regulation; information technology; diplomacy and international affairs; national security; medical research; nuclear, biological and chemical (NBC) safety; healthcare delivery and administration; transportation; energy, and environmental protection; and systems and engineering. For the DEA, the company provides accounting and other management support services. The DEA’s tenth largest contractor specializes in security and safety consultation including the creation of security systems, training services and risk consultancy. For the DEA, the company provides guard and security vehicle management services. DEA also has worked with some of the nation’s leading defense contractors to help combat narcotics trafficking. It was reported in September 2007 that five companies—Raytheon, Lockheed Martin, Northrop Grumman, Arinc Inc., and Blackwater USA—were awarded $15 billion in contracts by DoD to help support the war on drugs while the government focuses on the war on terrorism. The companies will develop and deploy new surveillance technologies, train and equip foreign security forces and provide key administrative, logistical and operational support to DoD and other agencies, including DEA. In an effort to help stem the illegal distribution of prescription pain killers, Congressional supporters of DEA tried to grant the law enforcement agency the power to disapprove new healthcare drugs. The provision was buried in a multi-department appropriations bill that passed the House but ultimately was scuttled by a House-Senate conference committee. Officials representing the Food and Drug Administration (FDA), pharmaceutical companies and doctors objected to the plan that would have allowed DEA a role in the review and approval of new prescription drugs. Opponents said the provision was an unwarranted intrusion by a law enforcement agency into the FDA’s drug-review system. Pain specialists also said the DEA reviews could jeopardize development of new drugs needed by patients with chronic pain. Joining a growing chorus of state lawmakers, DEA officials are considering listing a longtime herbal remedy used by Native Americans as a controlled substance. Salvia divinorum, a hallucinogenic member of the sage family, has been used by the Mazatec Indians to treat such ailments as diarrhea, headaches and rheumatism by chewing small amounts of the herb. But if salvia’s extract is smoked, it can produce powerful hallucinations, which is why DEA wants to ban it. Known as “Magic Mint” or “Sally-D,” salvia is legal to buy, sell and smoke in most states. Some online companies have sold salvia-derived products to young people looking for a new way to get high. There have been no recorded injuries or deaths resulting from the use of salvia. Drug-reform activists complain that DEA is jumping the gun in going after salvia. Ethan Nadelmann of the Drug Policy Alliance called the opposition to salvia a “knee-jerk reflex on the part of legislators to criminalize first and ask questions later, if ever. There's no stopping to listen to scientific evidence, no cost-benefit analysis of the effect the law would have.” California wants to ban the sale of salvia only to minors, a move that Nadelmann supports. Supporters of DEA have argued that the agency is making a positive impact on America’s drug problem by placing pressure on traffickers and causing a raise prices for consumers buying street drugs, making them less affordable. Critics of this argument, including Nobel Prize winning economist Milton Friedman, contend that demand for illegal drugs is not price sensitive—that buyers, especially addicts, will pay whatever price they must and commit crimes in the process of achieving their goal of getting high. Thus, any law enforcement progress DEA makes is offset by the continued work of local law enforcement officers who must deal with crimes being committed by addicts. In 2005, DEA agents seized a reported $1.4 billion in drug trade related assets and $477 million worth of drugs, according to the agency’s Highlights Year’s Accomplishments. These figures are dwarfed, however, by statistics from the White House’s Office of Drug Control Policy that show the total value of all of the drugs sold in the US is as much as $64 billion a year. This discrepancy between what DEA is seizing and the amount still in circulation has raised questions about the agency’s effectiveness to curb the trade of illegal drugs in American society. In 1996, California voters launched a national debate over the use of medical marijuana. Prop. 215 permitted seriously ill Californians to use marijuana, provided they first obtain a doctor’s recommendation, and it gave doctors a legal defense against professional or legal sanctions for recommending marijuana use. The successful passage of the initiative prompted other states to adopt their own medical marijuana laws. The federal government disagreed with the policy, and DEA agents went after local cannabis clubs in California, shutting down operations and arresting club operators. The Department of Justice under President Bill Clinton filed a lawsuit challenging the legality of Prop. 215. That legal challenge continued into the administration of President George W. Bush, and in May 2001, the US Supreme Court heard the case and unanimously overturned Proposition 215. The overturning of Prop. 215 did not end the medical marijuana debate. In 2008, the Minnesota legislature debated a bill that would allow patients to smoke marijuana as long as they have a doctor’s prescription. A total of 12 states have adopted medical marijuana laws. DEA, meanwhile, contends that marijuana possesses no medicinal qualities and should remain illegal under all circumstances. A native of Forth Worth, Texas, Karen Pomerantz Tandy completed a bachelor’s degree at Texas Tech University and a law degree at the Texas Tech University School of Law. Tandy began her career as an Assistant United States Attorney in the Eastern District of Virginia and then moved to the Western District of Washington, where she handled the prosecution of violent crime and complex drug, money laundering and forfeiture cases. During her almost 10 years in the Eastern District of Virginia, Tandy was named Senior Litigation Counsel and served as Chief of the Narcotics Section and lead attorney for the Department of Justice’s local organized crime drug task force. One of Tandy’s prosecutions led to the landmark US Supreme Court decision that ruled attorneys’ fees paid with drug proceeds can be seized by law enforcement. During 1988 to 1990, Tandy was chief of the Asset Forfeiture Unit in the US Attorney’s Office in the Western District of Washington. Between 1990 and 1999, Tandy served in a variety of positions in the Criminal Division of the Department of Justice, supervising DOJ’s drug and forfeiture litigation. She represented DOJ before Congress in the successful effort to reform civil forfeiture law. As the first Chief of the Litigation Unit in the Asset Forfeiture Office, Tandy developed the Justice Department’s expedited settlement policy to reduce unnecessary litigation for mortgage holders of forfeitable property. She also authored a criminal forfeiture practice handbook relied on by federal prosecutors throughout the country. As Deputy Chief of the Narcotics and Dangerous Drug Section, she supervised DOJ’s narcotic prosecutions nationwide. As the first Deputy Chief at the Special Operations Division, she had responsibility for implementing the nationwide coordination of drug wiretap investigations among federal prosecutors. Tandy then served as Associate Deputy Attorney General responsible for developing national drug enforcement policy and strategies and as director of the Organized Crime Drug Enforcement Task Forces (OCDETF). The roughly $500 million OCDETF program spanned three federal departments and included more than 2,200 federal agents, 500 federal prosecutors and various state and local law enforcement task forces around the country.
. Tandy resigned as DEA administrator in October 2007 and took a job as senior vice president of Motorola. Sir; Why as the main office of drug enforcement you can't stop all of the pot sales and use. I remember drugs were frown on. The state should not have any say because this is federal law. Since this was made legal more crime has opened up all around the country. The places that sell it get held up drivers on our roads are crazy running stop signs killing even law enforcement. You have to find away to get control of this bad problem. It needs to happen soon.. The DEA is a failure. It serves to feed for profit prisons while helping Big Pharma to keep the Opium epidemic alive and well. Removing Marijuana from the controlled list altogether, and using treatment over incarceration is a far better plan as has been proven in many countries. I am 67 yrs old with severe arthritis. I have been treated by a pain management dr. for the last 5 yrs. I failed a drug test (positive marijuana) and they said I am banned for life to ever receive pain medication again. I have never smoked marijuana in my life. I was taking a hemp oil supplement.Please help me I am in much pain. Mexico remains a serious problem! Cartels have been known to use a variety of means to import illicit drugs from there among others the use of tunnels beneath the border. The need for increased attention utilizing enhanced ground penetrating radars systems among other means are essential less the construction of physical barriers, walls etc. be circumvented. No matter how much attention is given to physicians and prescribers the problem will persist unless these technologies are more widely deployed. If we have the ability to detect and collapse tunnel systems used by the Taliban in Afganistan as has recently been dramatically surely we can and must do the same along the border area here!!! Is it legal to setup a person who while clean was asked by a person who had given her a ride to another town, she could so she could check in about getting her insurance reinstated. She had not eaten all day as the disorder she has interfered with her speech and being able to eat. Anyway the person who gave her a ride asked her if she knew someone who sold cocaine and if she could get it for him. While she had misgivings, he had done her a favor by picking by her up and driving her up there. I know she did not have much money on her only what I had given her, so I assume that he gave her the money to make the buy. Anyway she when she returned to the car she was then arrested for saleing it to him. Do you see anything wrong with this. Oh and though it had to be obvious that she was not well they did not take her to a Dr.. Heard later that a member of the Drug Enforcement agency had been trying to figure out how to get her for several years. Yes she had taken drugs at one time but did not sale them and also a drug test given her now would come out clean, as she had stopped doing drugs for her own and family reasons. You are completely ignoring support by 80% of the population including doctors who have done studies on CBD--which is the non Psychoactive part of hemp. This is a natural plant supplement that helps people and is not a drug since it has no THC in it. I am a Vietnam vet and use if for back pain, instead of Opioids, and it WORKS. Are you serious about stopping something that benefits and has no side effects or drug related properties???????????? I am sick and tired of everyone pointing fingers at people including myself. I have an arrest for drug poss in 08 ,the local pd hit me with a flash bang grenades and shot my garage with a shotgun. I was in possession of a meth pipe. I know. Horrible stuff! !,I'm not perfect. Yet the local pd took what little cash I had,no inventory of it and left a bag of stuff that was poison and almost killed me over a pipe. Now. I am offered meth.frequently. Have PTSD. Trouble sleeping. And scared of local pd. the real problem here is opiates. Roxy 30's and the Vets that yes served our country I honor and respect that. But they r seriously killing kids selling the pills cheap for xtra income. U want help in AZ,NV area. Call me and I will definitely. Put my life on the line and help save many lives from ever starting to use. The Administrator of the Drug Enforcement Administration (DEA), Michele Leonhart graduated from Bemidji State College in Minnesota with a bachelor’s degree in criminal justice in 1978. She began her law enforcement career by attending the Baltimore Police Academy, after which Leonhart served as a patrol officer in the Northwest District of Baltimore. Leonhart joined the DEA as a special agent in late 1980. She worked for five years in Minneapolis, routinely posing as an undercover agent in numerous federal drug investigations and initiated and coordinated numerous conspiracy investigations. She was transferred to the DEA St. Louis Field Division in 1986, where she became the Special Agent Recruiter. Leonhart was promoted to a group supervisor position in the DEA San Diego Field Division in early 1988. After a short assignment as the Intelligence Supervisor, she took over command of an enforcement group for five years. Leonhart was featured in a documentary filmed by the BBC in 1991. Her enforcement group conducted numerous investigations including international smuggling cases. The most notorious of her group’s investigations was that of a major Bolivia-based cocaine cartel that resulted in the arrest and conviction of cartel leader Jorge Roca-Suarez, co-defendants and the seizure of more than $14 million in assets. In 1993, Leonhart was transferred to DEA Headquarters in Arlington, Virginia, where she served as an internal affairs inspector. In 1994, she was again promoted and served on DEA’s Career Board until her assignment as assistant special agent in charge of the Los Angeles Field Division in 1995. 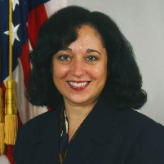 In 1996, she was promoted to the ranks of the Senior Executive Service (SES) and was assigned oversight of DEA’s Special Agent Recruitment Program at DEA Headquarters. Leonhart was appointed in 1997 as the Special Agent in Charge (SAC) of DEA’s San Francisco Field Division, where she served until her appointment in September 1998 as the SAC of DEA’s Los Angeles Field Division. In that capacity, she commanded DEA offices and enforcement operations in the Los Angeles area, as well as Nevada, Hawaii, Guam and Saipan. Leonhart served as the deputy administrator of the Drug Enforcement Administration from March 2004 until administrator Karen Tandy resigned in October 2007. Leonhart took over as acting administrator in November 2007, but wasn't confirmed as permanent administrator until December 22, 2010.